So last week I was doing a presentation on Self-Service BI with SQL Server 2012 at the TechFuse MN technical conference and I realized that my demo virtual machine was still running SQL Server 2012 RC0. I was thinking that I shouldn’t do my presentation and demos using RC0, so why not upgrade. Probably not the best idea to do this just a few days out from a presentation, but I had my fingers cross and just went for it. I found some guidance from a thread in the forums by Jen Underwood here Upgrade in place RC0 to RTM and decided to go for it. 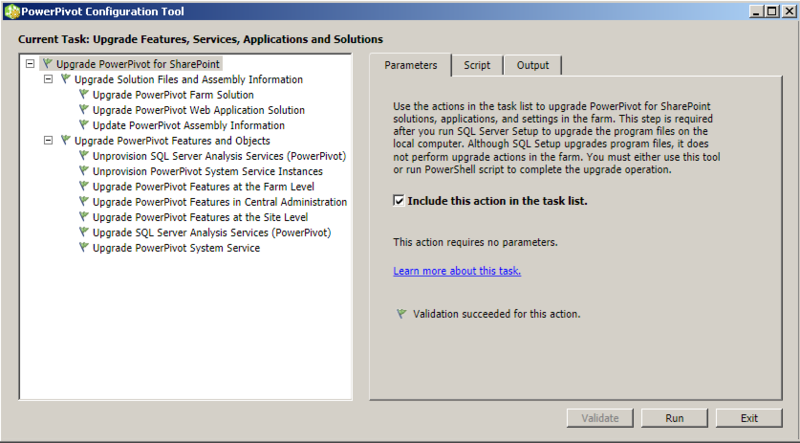 I did the in-place upgrade and my SharePoint virtual machine with SQL 2012 was still functioning after I completed all of the steps. Then I moved on to testing my integrated SSRS setup and realized that the Power View reports were not working and neither were my data sources. 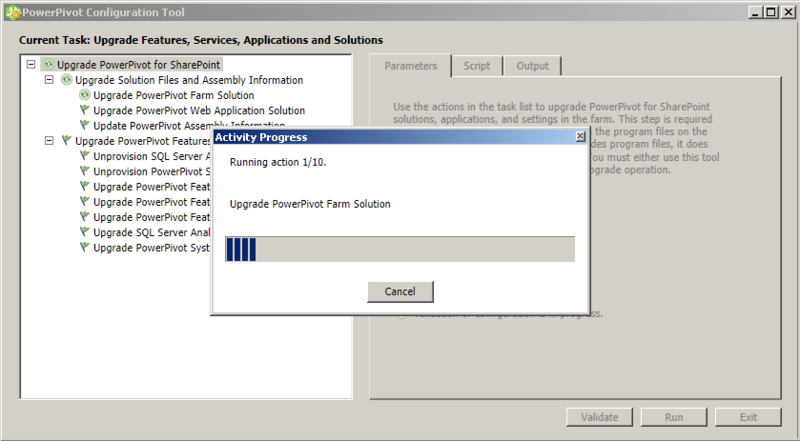 The quick fix for that was to go into Central Administration and go into the properties of the Reporting Services application and click OK. That completed the upgrade process for my shared service and my Power View reports functioned properly after that. 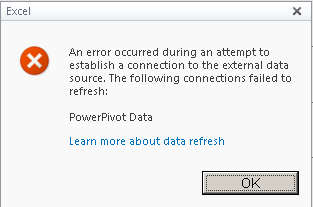 I wasn’t quite sure how to proceed, but after the fix for the SSRS shared service I was thinking that maybe I needed to do the same for the PowerPivot application. 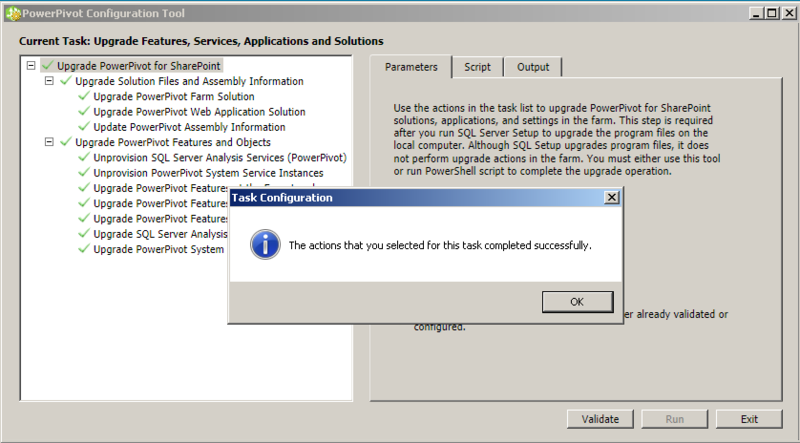 SO I decided that I would try to re-run the PowerPivot configuration tool which is new with the SQL Server 2012 installation. Everything was working as expected again and no more error messages! Victory! That was quite the relief and I was able to do my presentation with my newly upgraded RTM release of SQL Server 2012, not bad for doing an in-place upgrade just a few days prior to the big event. 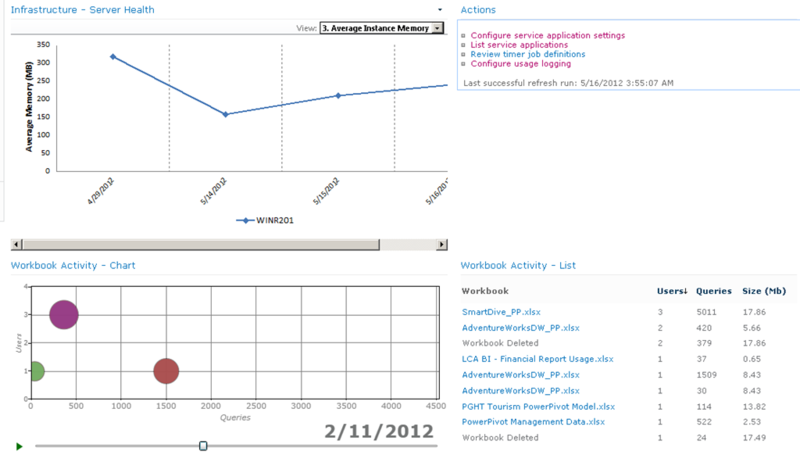 This included three instances of SSAS (multidimensional, tabular, and PowerPivot), the SQL database engine, SSRS, SSRS SharePoint integrated, SSIS, and DQS as well. Here is some additional information if you are looking to do the upgrade for DQS – Upgrade DQS: SQL Server 2012 RC0 to SQL Server 2012 RTM.